The Year of Dreaming Dangerously is a wildly eclectic little book of 135 pages. A year ago, North America was in the throes of the Occupy movement, Quebec’s student boycott was being mapped out, and the Arab Spring was reaching a crescendo. One of the most perceptive analyses comes from the brilliant and voracious mind of Slovenian philosopher Slavoj Žižek in The Year of Dreaming Dangerously (Verso). It is a wildly eclectic little book of 135 pages, but it provides strong context and analysis of what these events have in common as he predicts that the convulsions they engendered will have vast repercussions, without saying what shape they will take. It is not an easy read since he packs in so many historical and philosophical references with which not all readers, including this one, are necessarily familiar. I lingered over the insights he offers on the state of a world in turmoil. He notes that the information revolution is threatening those who enjoyed surplus wages and benefits compared with the minimum wages of the proletariat. This new reality gives new momentum to anti-capitalist protest. When it’s time to tighten belts, the obvious candidates are the lower levels of the salaried bourgeoisie, since their surplus wages play no inherent economic role. The only thing standing in the way of their joining the proletariat is their power of political protest, he observes. In Russia, he notes, university graduates are grossly underpaid and have already joined the ranks of the proletariat. In China they are well provided for with surplus wages, therein ensuring their docility. The “proletarization” of the lower salaried bourgeoisie is accompanied by a move in the opposite direction—irrationally high pay for bankers and top managers, whose remuneration tends to be inversely proportional to the company’s success! Žižek cites Greek-Australian economist Yanis Varoufakis as noting that the root of the American malaise can be traced back the late 1960s with the realization that the American economy was no longer able to recycle its surpluses in Europe and Asia. The U.S. abandoned the Gold Standard, began absorbing goods produced by Japan, Germany and later China, and 70 per cent of the profits flowed back to Wall St. and the U.S. Treasury. Confidence in the U.S. is primarily ideological and military, not economic, and so the U.S. has to justify its imperial role by being in a permanent state of war. What emerges is a New Sparta, with the U.S. as the supreme military-political-ideological power, Europe, parts of Asia and Latin America as the industrial-manufacturing regions, and the underdeveloped rest as Helots. In contrast to 1945, the world no longer needs the U.S., it is the U.S. that needs the rest of the world, he observes. Unbridled financial speculation has engendered destructive social consequences including billions lost, homelessness, massive unemployment and underemployment. Economic globalization is gradually undermining the legitimacy of Western democracies. Beneath the sometimes confused statements of Occupy Wall Street protesters, Žižek sees general dissatisfaction with capitalism as a system while contemporary forms of democracy are unable to deal with its excesses. “In other words, democracy has to be reinvented,” he proclaims. He regrets that the Egyptian Spring ended with the electoral triumph of Islamists, who played a negligible role in the Tahrir Square protests that unseated dictator and oligarch Hosni Mubarak. Žižek does not mention the Quebec students’ boycott, but its brilliantly led and coordinated campaign was successful. Among Premier Pauline Marois’s first acts was to cancel the tuition fee hikes. They have shown that a strongly led student movement can fight the power and win. How it will end remains to be seen. 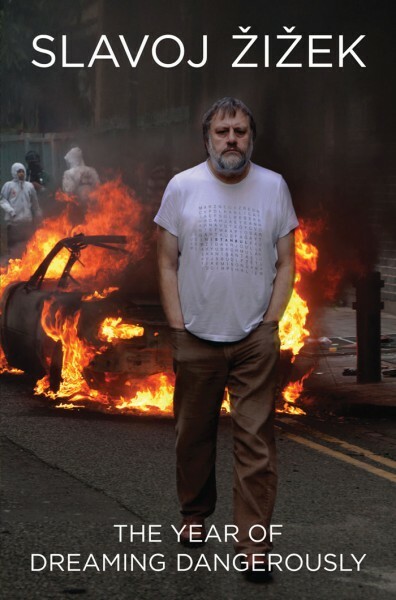 Be the first to comment on "Slavoj Zizek’s Year of Dreaming Dangerously: Wave of revolts predicted"